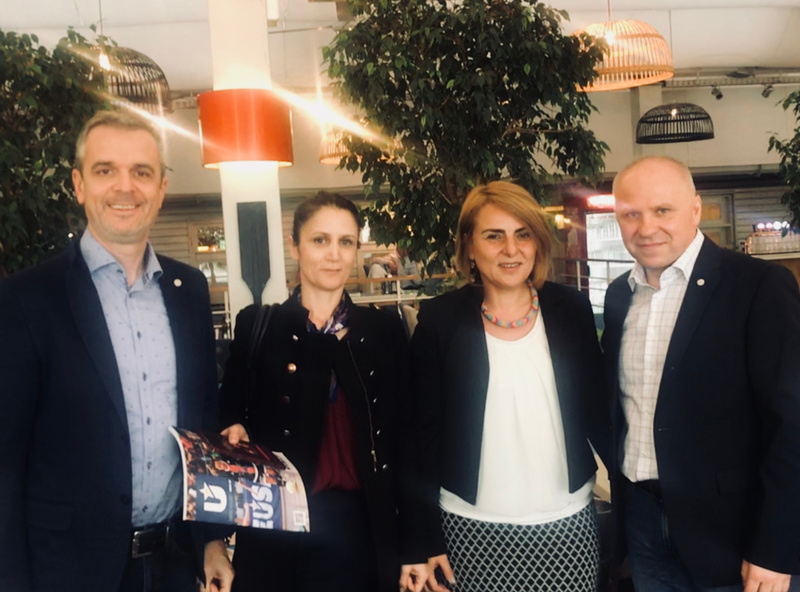 At the occasion of the EU Sport Forum 2019, EUSA President Mr Adam Roczek and Secretary General Mr Matjaz Pecovnik took the opportunity to meet with the Romanian Schools and Universities Sports Federation, a EUSA member, on April 9. The EUSA representatives were welcomed by Secretary General Ms Claudia Georgescu and Head of International Relations Ms Claudia Ilie. During the meeting, Ms Georgescu and Ms Ilie presented the activities the Romanian federation has been busy with, both on a national and international level. The EUSA representatives then thanked their hosts for Romania’s active participation at EUSA events, before informing them of the association’s latest activities and updating them on the ongoing events and projects of 2019. The participants then also discussed the possibilities of increasing Romania’s participation in organising various EUSA activities in future. 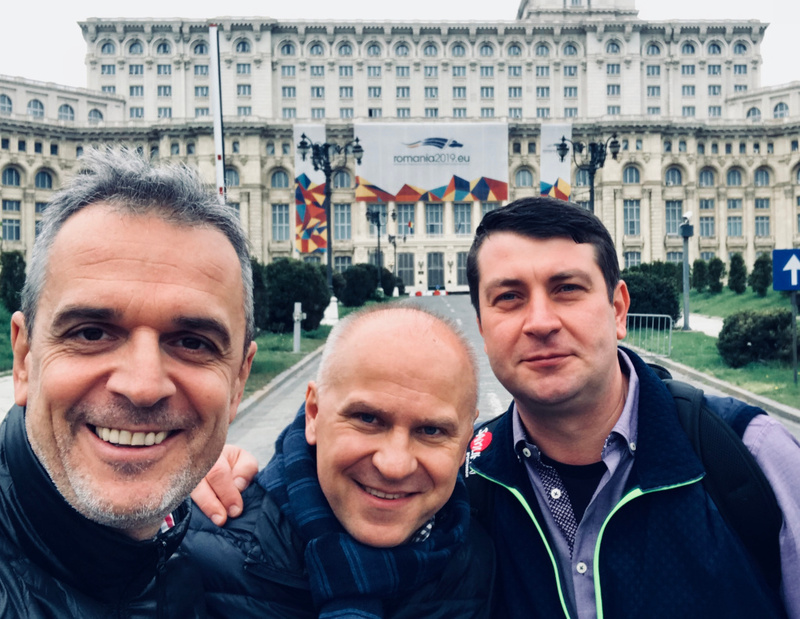 During their stay in Bucharest, Mr Roczek and Mr Pecovnik also made use of the occasion to meet with EUSA Auditor, Mr Liviu Matac. For more information about the Romanian Schools and Universities Sports Federation, please see their website.